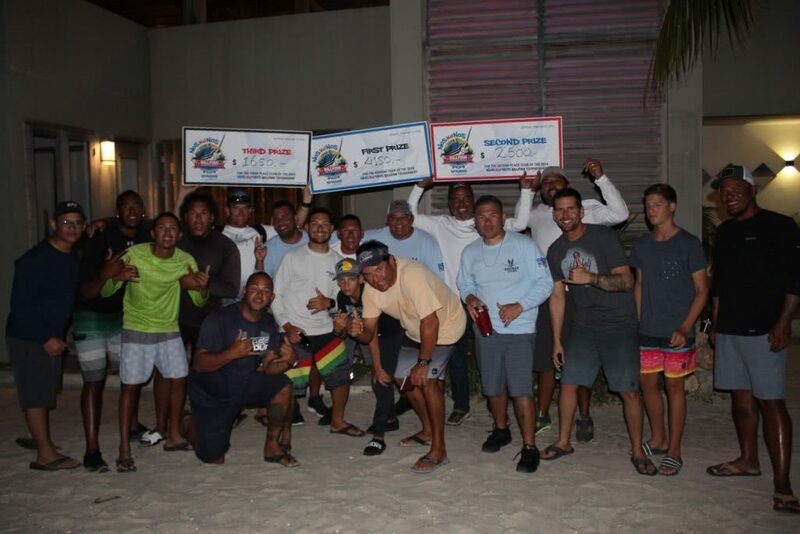 Nos Ku Nos Billfish Tournament a great succes! With no fanfare at all, the Nos Ku Nos fishing tournament, that took place February 7th to 10th, was a great success! Fishermen arrived from Curacao and Aruba to compete with the local Fishermen in Bonaire for the Catch and Release Billfish tournament. If you did not happen to be in the marina, or watching as they entered or exited, most people would have no idea this event even happened! Eleven boats participated, 4 from Aruba, 4 from Curacao and 3 from Bonaire. What made this event unique is that every single boat did catch fish! This is very rare in Billfish tournaments. 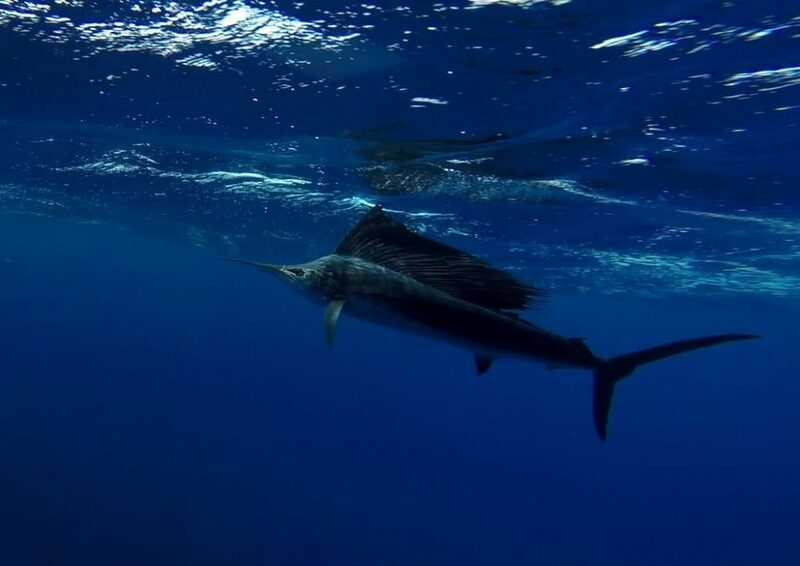 A total of 39 billfish were caught during the tournament, 19 Sailfish, 18 Blues and 2 whites, an equivalent of more than 2 fish per hour, keeping everyone very busy! The most stubborn Blue took 3 hours and 2 minutes to bring along side, while the fastest was brought to the boat in only 7 minutes. There was no consideration to the size of the fish, only that they had to be caught and released and it had to be recorded through photos or videos for control. Each fisherman announced on the radio when they hooked and released a fish. They were given a control code and that number had to show up in the pictures along with the fish. The time they announced hook up and release had to match the time stamp on the pictures. Once at the boat, the fish were released. The fishermen earned 500 points for a Blue Marlin, 300 for a White Marlin and 150 for a Sailfish. The event was organized by Gordo from Curacao along with Gregory Obersi and Budget Marine. Without the sponsors this would not have been possible. Great thanks go out to Eden Beach, Spice, Bistro de Paris/ Zazu, Monster Drinks and Polar from Best Brands, Budget Marine, Napa, Xerox of Obersi Group and All Signs Curacao. Budget Marine also challenged the fishermen for the best photo and best video. Heaven’s Gift from Curacao won a Rule Tournament Bait Well pump for outstanding photos of the fish up close and personal while releasing the hook. Sea Hunter, also from Curacao won a variety of lures and line to continue their hunt with some amazing over and under shots of the fish using a GoPro on a stick. 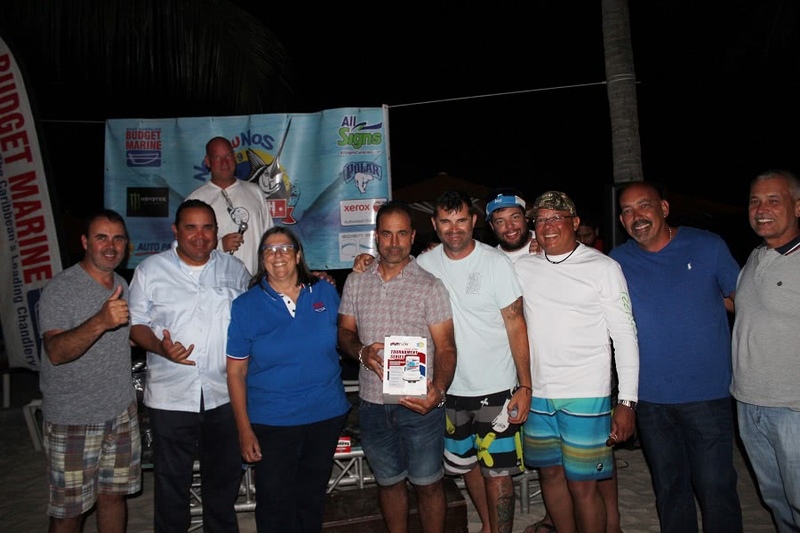 After 2 days of fishing, third place went to “Living Easy” from Aruba with 3 Sailfish and 2 Blues for a total of 1450 points. “Alina” earned 2nd place with 5 Sails and 2 Blues totaling 1750 points. 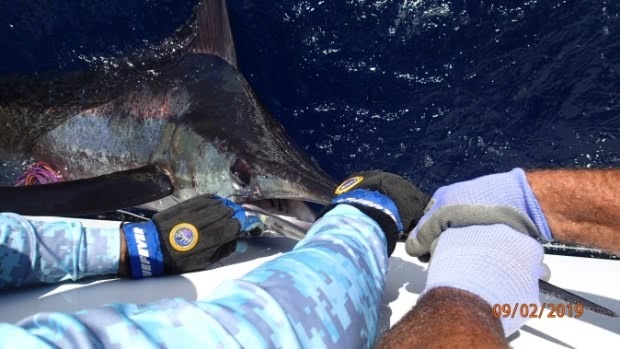 Completing the clean sweep for Aruba, “Energy” Earned the top spot with 1950 points by catching and releasing an impressive 3 Blues and 3 Sailfish.